Every year the house gets just a little smarter, and the kitchen is really starting to feel the love. Whirlpool and KitchenAid have been adding more connectivity to their appliances, with the ability to monitor and control items, including your oven and stove, remotely. 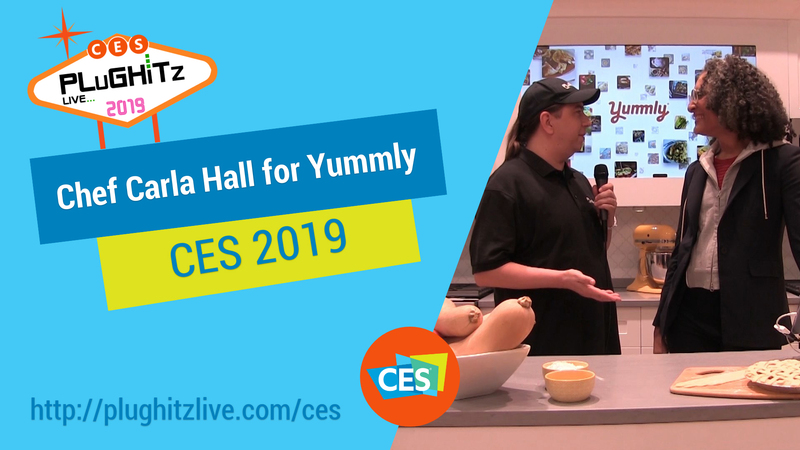 One of the more interesting ways to interact with your appliances is through the Yummly app, an app designed to help you learn to cook, as well as automate certain aspects of the process, assuming you have the appropriate appliances. Recently, Yummly has added Pros to the platform. This feature brings a talented chef into your kitchen with you to help guide you through a recipe of theirs. One of these new Yummly Pros is Chef Carla Hall, best known for her time on Top Chef. Chef Hall joined the platform because it affords her the ability to dive into recipes that she could never have done on television, such as bread or collard greens. While it may not make for great broadcast television, it does make for a great experience to follow along with and learn from an expert. One of the most interesting aspects of the app is the integration with the appliances. Chef Hall talked to us about how, through the app, she could help home cooks get a better grip on more complicated cooking requirements. For example, if a recipe requires that you cook on high heat for 15 minutes, then on medium heat for 10, then return to high heat for the final 10 minutes, most home cooks will leave the oven on high for the entire time. While this may work, it won't be perfect. With the integration between the app and the oven, Chef Hall can help you pre-program the oven for the correct temperatures and durations without you having to work too hard. Yummly is available now for iOS and Android, and Chef Hall can regularly be found on GMA and Food Network.